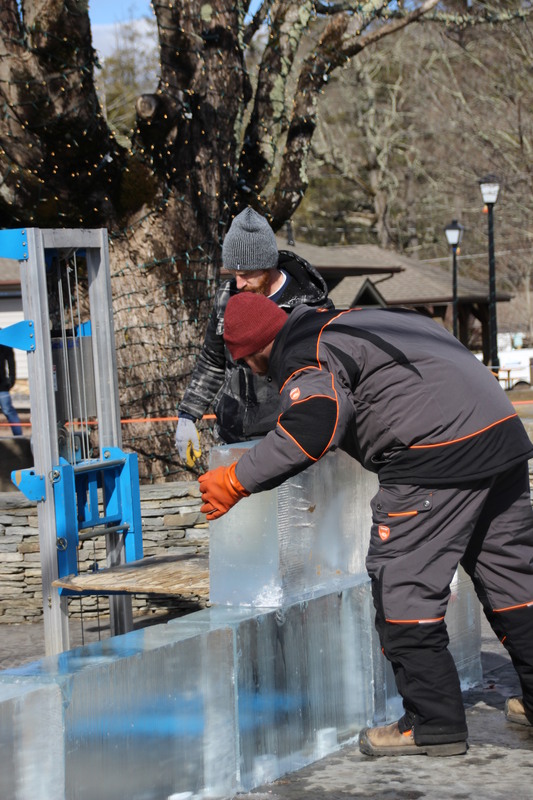 I spent the weekend at Winter Fest in Blowing Rock, North Carolina. 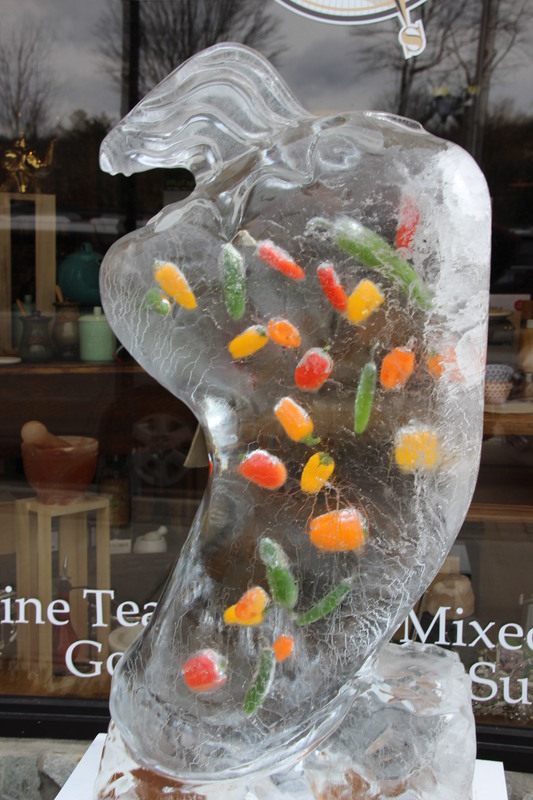 My favorite part was the ice sculpting. 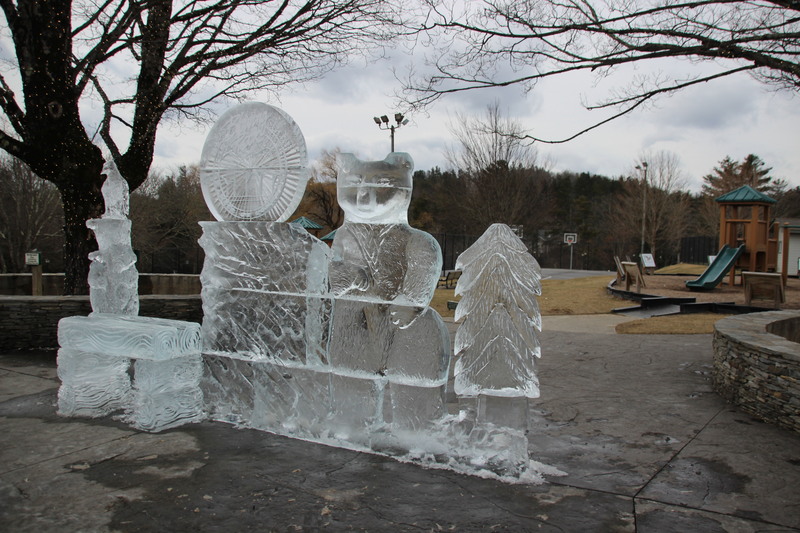 The artists set up huge blocks of ice in the middle of the town park. This was the finished product . 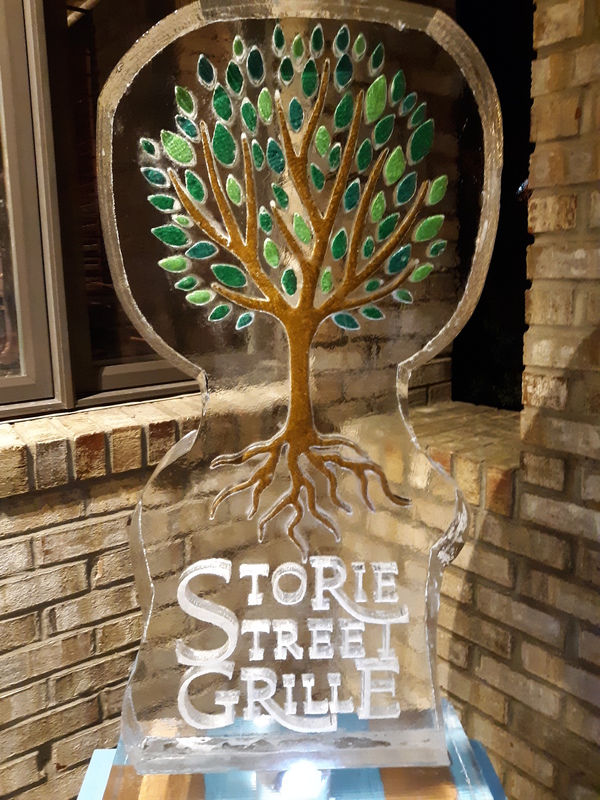 There were also frozen signs made for different businesses around town. 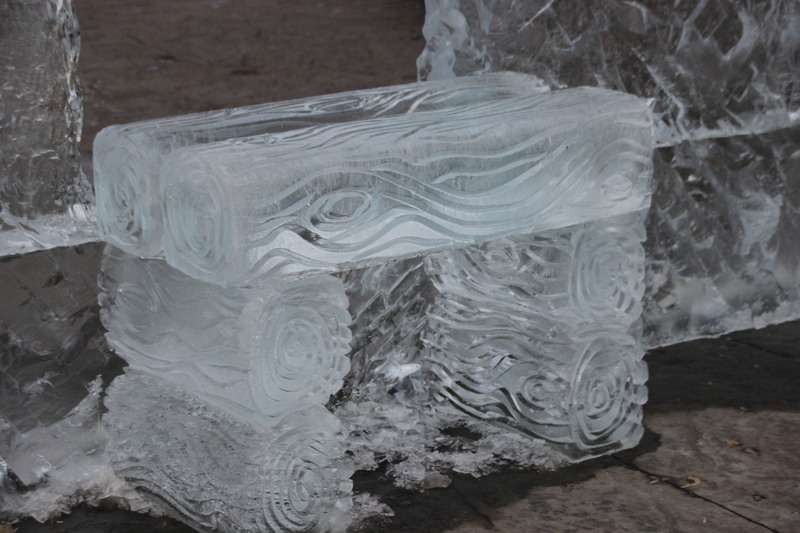 These pieces were lovely, but did not inspire me to become an Ice Artist. I was too cold to stick around and watch the artists work. 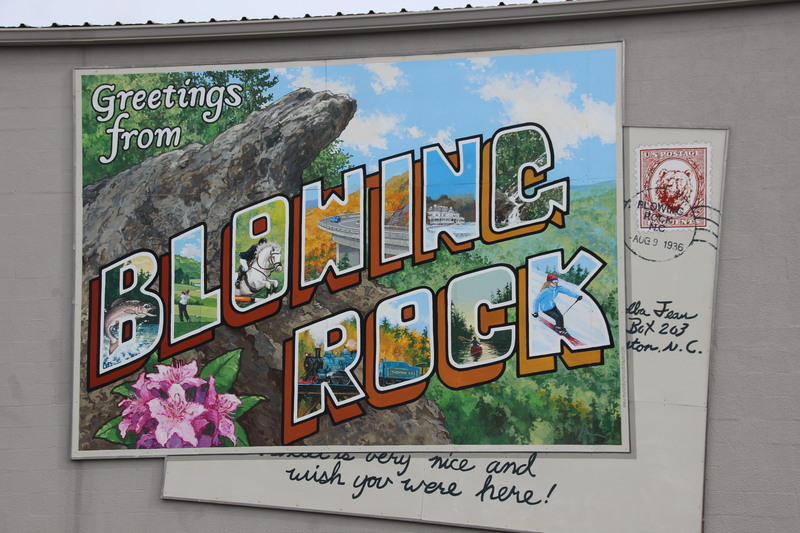 I did return later for photos. By then I was rather tired, but there was only this seat available. So I just stood around with the bear. 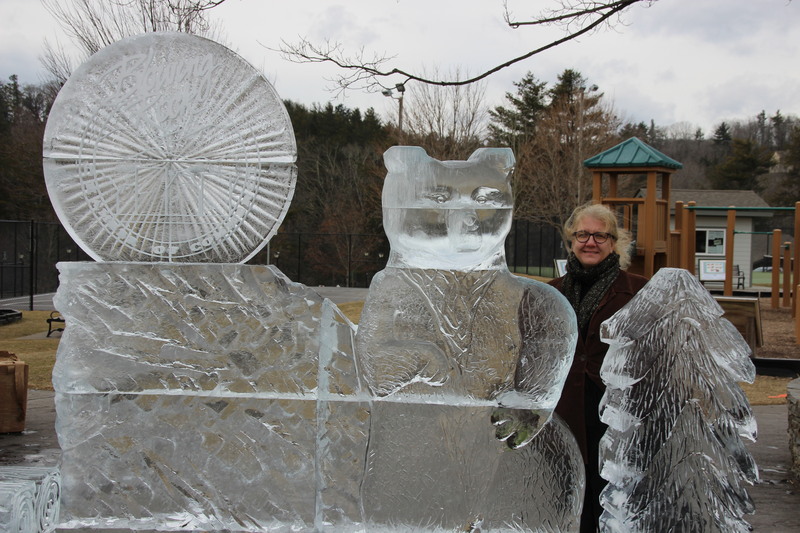 Better to stand with a frozen bear, than sit with a frozen rear.